DC’s Rebirth initiative has been a breath of fresh air for the company. Bringing back solo runs for a lot of fan favorites, the publisher has also given a book to a certain John Constantine, aka Hellblazer, written by Gen 13’s Simon Olliver with art by All Star Western’s Moriat. The book opens on Sarajevo, circa June 18, 1914. If you know your history, you’d know that as the date Archduke Franz Ferdinand was assassinated, which was the spark that led to the first World War. This is used as a backdrop for what looks to be the main arc. We’re introduced to Adnan and Marid, two seemingly ageless beings who come to blows over whether or not to interfere with humanity. If you’re already a fan of John Constantine’s adventures, you’ll be happy to see that the first issue has brought back some classic characters, namely Swamp Thing and Mercury. 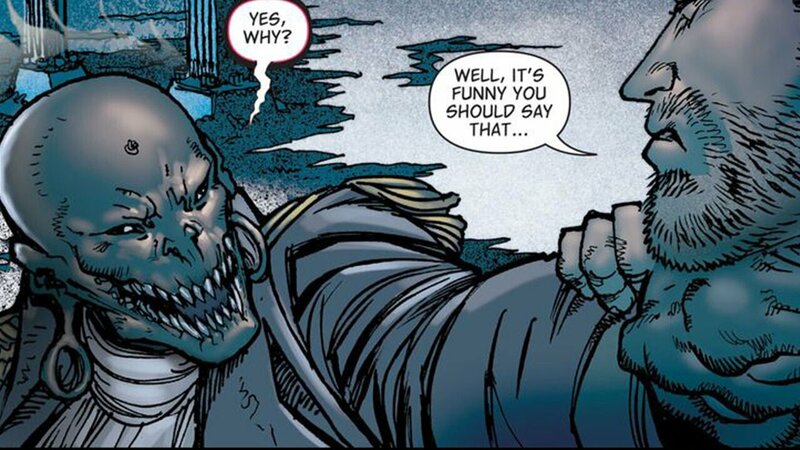 They’re brought into the story when Swamp Thing asks Constantine for a favor. Swamp Thing’s ex-wife, has gone missing, and Constantine recruits Mercury to help track her down. So not only do things not happen, but little flourishes like flat political satire and iffy lettering don’t do the package any favors. I’m not asking for The Hellblazer to be epic battles on every page, but I wish it would do something to make me care about anyone. It’s possible this stemmed from the first issue spreading itself too thin by going over so many plot threads and characters. 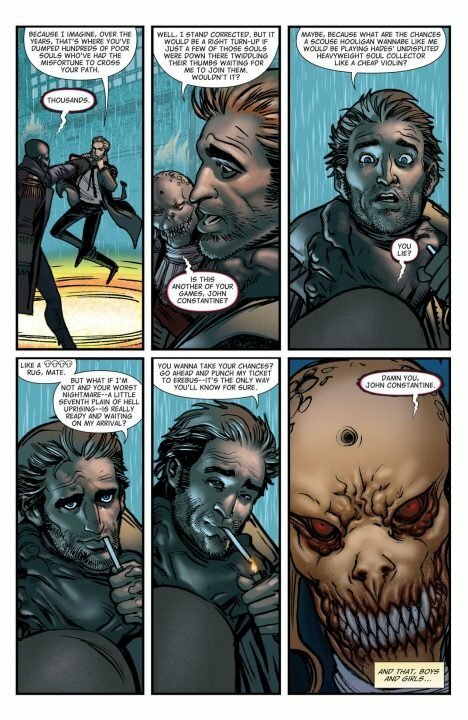 It might have made a bigger impact if it had a smaller scope and used that extra breathing room to really show the reader why John Constantine is such an interesting lead. What we have really doesn’t tell us much about him. He’s a hard drinker, has a troubled past and is a bit sassy. But that’s it, really. And while I haven’t read any John Constantine books before, I know that there’s a lot more to this character. The Hellblazer #1 doesn’t do a good job of launching a new run. It’s pretty uneventful, and while it spends a lot of time setting up plots for future issues it doesn’t do much to make me care enough to follow it to issue #2. I’m sure longtime fans of John Constantine will be more patient, though. The Hellblazer #1 doesn’t do a good job of launching a new run.